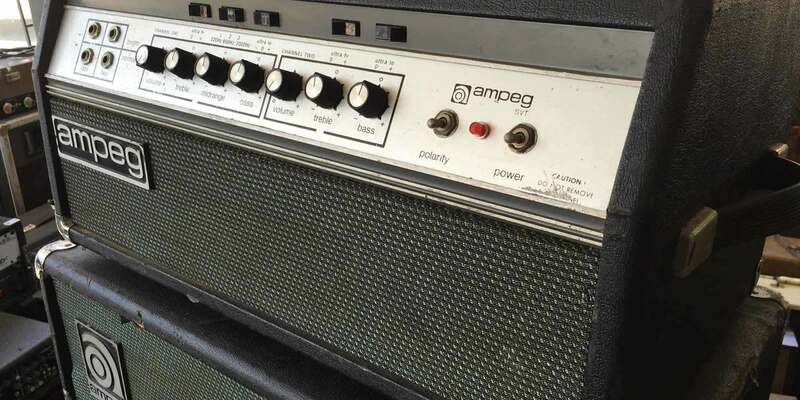 Back in October 2014, Reverb presented my list of Six Classic Bass Amps You Should Know. Just as requested, many of you bass-curious folks did in fact check out my list of bass amps that I felt represented great examples of the technology’s amazing evolution throughout the decades. As is to be expected whenever a subjective list is presented, the comments section exploded into howling gales of “what about these other amplifiers you missed?” combined with its traditional questioning of my neurological function. Still, they had a point, albeit not about how I’m missing my parietal lobe. They were right about something more important -- that there are more amazing amplifiers that deserve equal attention, both to understand how far we’ve come with gear and maybe even to find a cool new addition to your tone. Without further ado, here are six more classic bass amplifiers that merit historical note and maybe a place in your practice space. I’ve taken special care in this list to include amps that have fallen out of favor but are nevertheless important milestones for all of four-string kind. 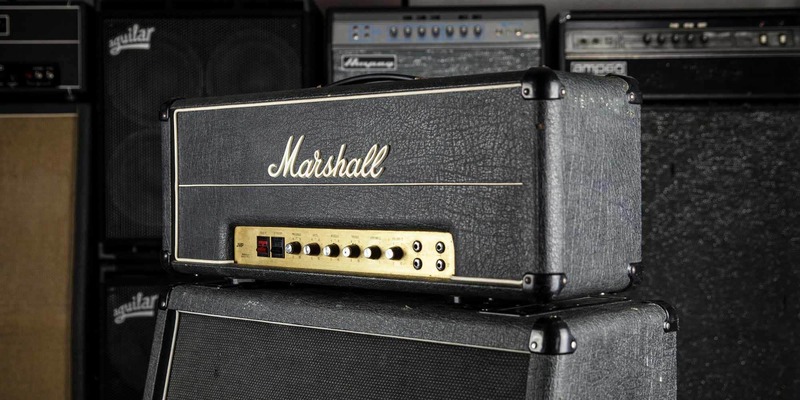 Take a look at this timeline of six of the most important bass amps ever produced. From the Ampeg B-15 fliptop, through the SVT and Acoustic 360/361, to the SWR Redhead, David Eden World Tour 800, and modern MarkBass amps. Chief proponents: guitar players, not bassists. Plenty of Fender lovers howled when I made a crack about the Bassman amplifier in my last list, so I picked up their gauntlet and did my homework. The Fender Bassman was introduced in 1952 to accompany Saint Leo’s brand new Precision “bass guitar.” (“Whoa Daddy-O: it’s like a real bass, but in guitar form - and with frets!”) The amp section blasted out a whopping 26 watts from two 6SC7 or 6SL7GT pre-amp tubes, two 5881 power tubes, and a single 5U4G rectifier tube, producing an 8 ohm impedance load through a single 15-inch speaker. This sounds warm, vintage, and woefully underpowered, but it should be remembered that this was replacing the un-amplified upright basses that were being absolutely engulfed by drum sets, guitar amps, and screaming girls at sock hops. 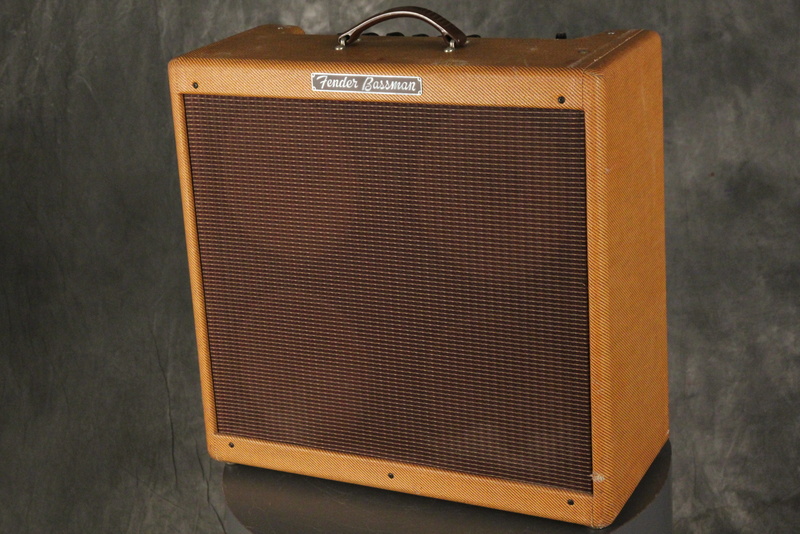 And while there was already the Ampeg “Amplified Peg” from 1949, this amp represented the major leap ahead in getting bassists heard over the band. I left this off my initial list of classic amps since I was at pains to find any bassist of note whose classic sound was dependent on this unit. Given more time to research the matter I discovered that… nope, I was right; guitarists, pedal steel players, and blues harmonica blowers loved ‘em, but bassists took a pass. But, since it won’t be the last time bassists selflessly give things to guitar players without even receiving as much as an extra drink ticket, let’s celebrate that this unit went on do more good in the six-string world. The Fender Bassman was soon eclipsed by other technologies for making low notes, but the guitar world took the design and ran with it. Evidently, none other than Jim Marshall, the founder of Marshall Amplification, used the Bassman 5F6-A tweed circuit as the template for the legendary Marshall JTM45. That fact alone is enough to give this amp its propers. Plenty of bassists are defined by the bass rigs that they played live in concert such as Jaco Pastorius and his Acoustic 360/361 stack, or Cliff Williams and his Ampeg SVTs. When talking classic-bass-anything, we’ve got to look at the equipment of Sir Paul McCartney, MBE - but live amplification doesn’t define Macca’s classic sound, which ultimately was more a product of the studio than live gear. Still, understanding the limitations of the gear of the “I Wanna Hold Your Hand” era gives us a view into bass amp evolution. 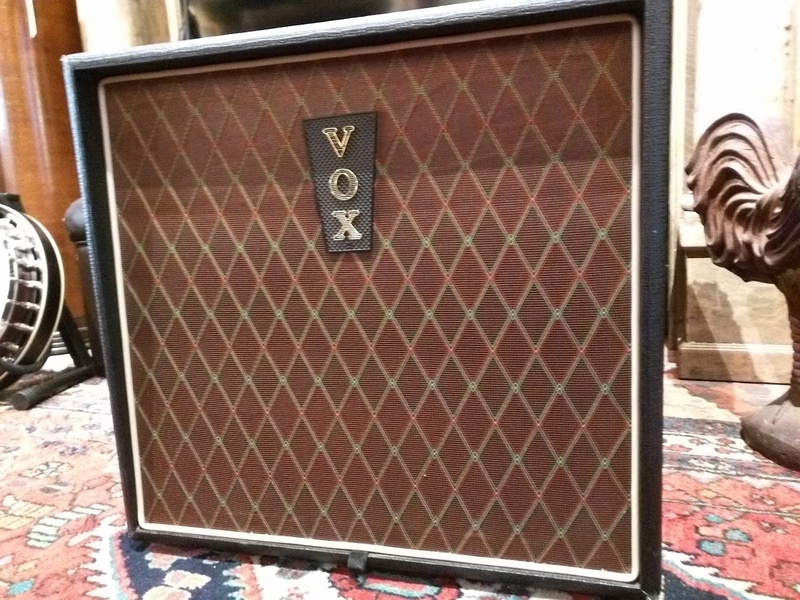 When all the gear makers want to avoid cease-and-desist letters, they describe their tributes with terms like “British chime” or “that English top-end.” Well, they mean Vox, whose amps in the early 1960s were the only alternative to Leo Fender’s miracles across the pond. 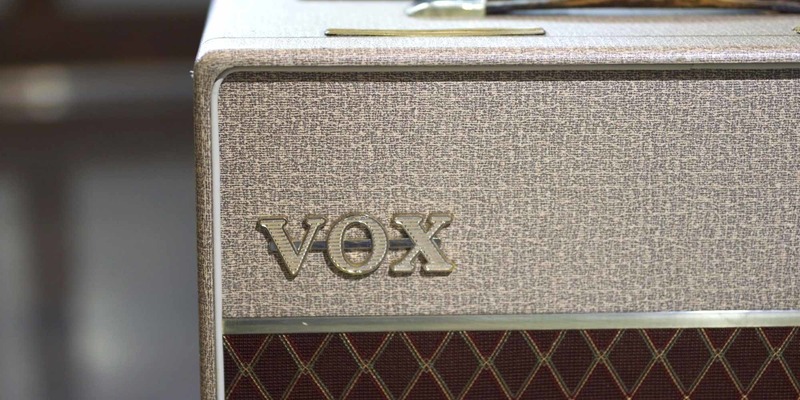 Vox is not known for their bass amplifier designs - but they still launched the Beatles sound that conquered the world. Sir Paul used the Vox T-60 solid state bass amplifier - ultimately renamed the Vox AC-100 - in 1964, just in time for the lads to blow up The Ed Sullivan Show. The Vox T-60/AC-100 bass amplifier has an unusual-yet-simple design by today’s standards. Attached to two 15-inch cabinets, the T-60 was driven by thirty-to-forty watts of power, which sounds today like running a Mack truck with a sewing machine motor. The controls of the head are located in the back, which seems annoying, but ultimately makes this rig look like interestingly like living room furniture. Homey. A good thing. The 30-40 watt solid-state design relied on germanium transistors. Les Mills created a “radical” new output design that eschewed the big iron transformers required for tube amps, and instead coupled the the output transformers directly to the speakers. Gearhounds like myself have become trained to look for vintage-style germanium circuits as they have come back into vogue for fuzz, overdrive, and boost pedals. Mmm, lots of even-order harmonics and cushy “give” when the gain is pushed… ah. However, like so many gear trends, we find out why this type of circuit fell out of favor to begin with. These transistors were especially prone to self-destruct if they became hot. Early Motorola auto radios equipped with germanium transistors were known to suffer heat related failures in cars when exposed to nothing more than the summer sun with the windows closed. Self-destructing letters in spy movies: awesome. Self-destructing bass amp circuits in hot weather: not especially awesome. Also, a maximum of 40 watts might explain, in a sense, why The Beatles stopped touring. It is said that the roar at Shea Stadium was so loud, they couldn’t hear each other enough to play, inspiring the band to focus on studio output. Mayhaps if Macca had recourse to an Ampeg 300-watt SVT, there would have ultimately been head-to-head Beatles vs. Zeppelin world tours, and this probably would have defeated the Soviet empire in the mid-’70s just from sheer awesome. 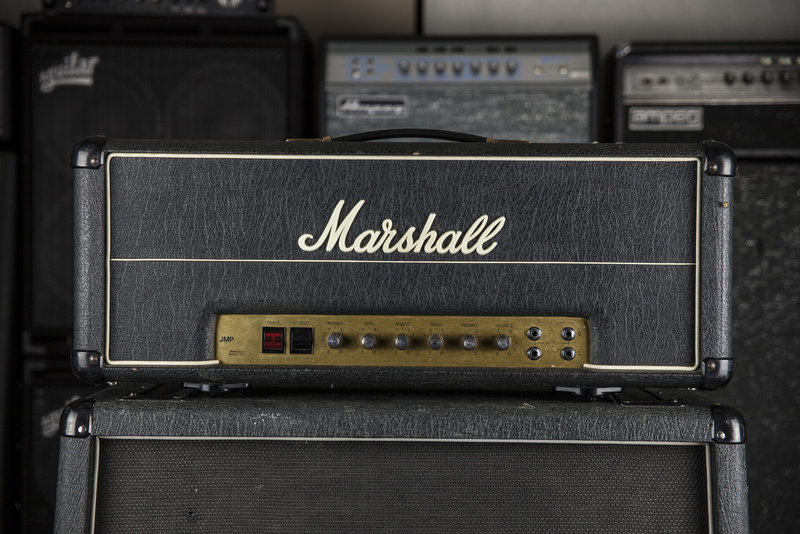 We recount the story behind one of England's most famous amp makers. On the other hand, a ton of totally-correct readers of my last article jumped indignantly on my failure to include Sunn amplifiers in my (admittedly truncated) list of “classic” amps. Now on this one, ladies and gentlemen of the bass community, you were right. Having dug around some, I have discovered why I was indeed remiss, including the use of the amp by The Who (! ), The Moody Blues, Kiss, Rush, Queen, and yeah, I totally should have known this one. The Genesis story on this all-tube beast is really cool as well. 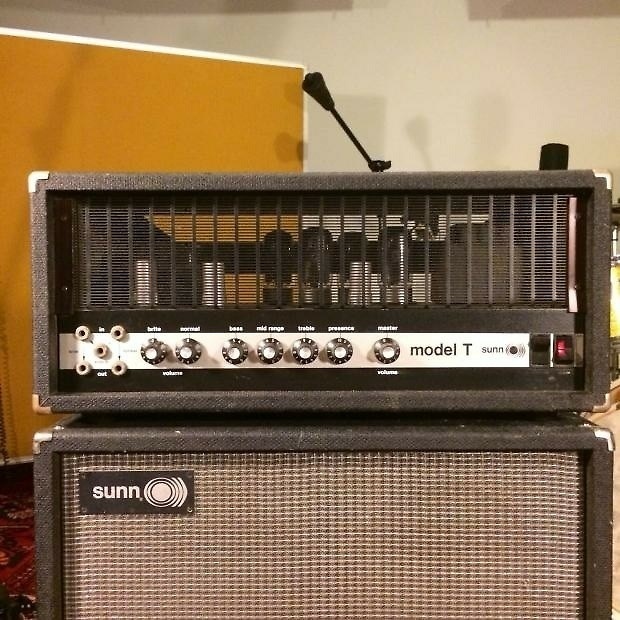 The 150-watt Sunn Model T Amplifier - designed for either guitar or bass - was actually inspired by the technical needs of the Portland, Oregon garage rock band The Kingsmen with their chart-busting classic “Louie Louie.” After six weeks at the top of the charts, bassist Norm Sundholm realized that he didn’t have the power to handle low-end duties in the larger venues. In one of the great stories of American entrepreneurialism, Sundholm realized he needed a concert-hall-ready amp, grabbed his brother Conrad, and just freakin’ designed a new kind of amplifier in their garage which ultimately went on to great commercial success. And tubes? You can’t handle the tubes. This thing sports four 12AX7WA tubes, followed by two 12AX7A tubes, and powered by four 6L6GC tubes, at which point it fires tubes at the audience, and then you get paid in tubes. You can even hit the “club” switch, drop the output from 120 watts to 29, and you can let your guitarist plug in. Other variations of this amp found their way into the backlines of many major artists of the 1970s. No wonder vintage gear lovers lamented its absence from my first list. At less than 25 pounds, this beast from 1983 produced a bi-amped 300 watts on the bottom and 100 watts on the top for loud, clean, and cutting tone. It also sported some advanced features which only later became standard, such as active bi-amp controls as well as “scoop” and “low-end boost” EQ buttons right on the front panel. 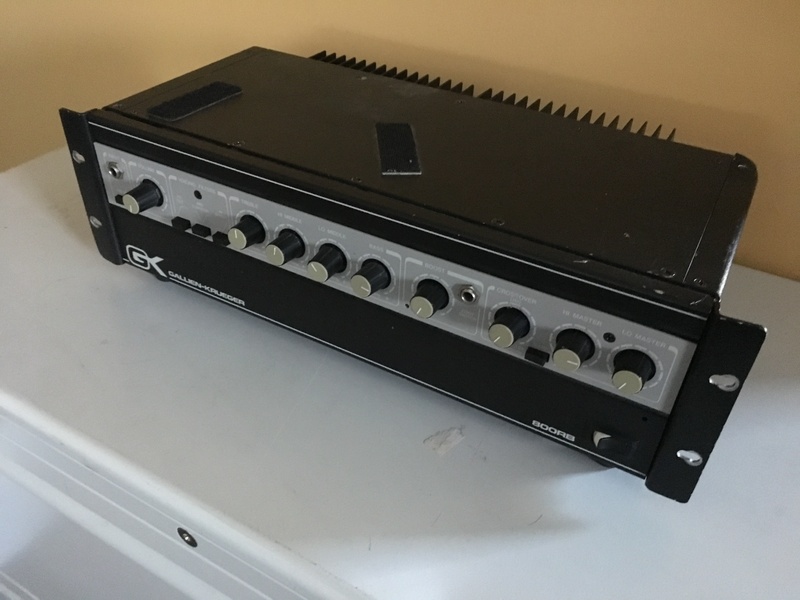 Perfect amp for a jazz gig? Who cares. Plug in a P-Bass, dime the master volume and play “Welcome to the Jungle,” then throw the amp into traffic on the Sunset Strip, pick it up with a laugh, and head to your next gig. 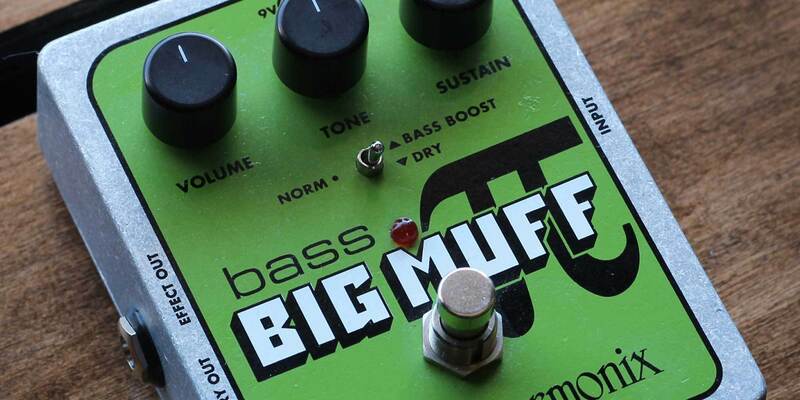 When it comes to gain effects, the most commonly used are overdrive, distortion and fuzz. While most players know the technical difference between an overdrive and a distortion pedal, many have a harder time distinguishing between distortion and fuzz. Let’s try to clear that up. Lemmy. Ricky. Mic dropping like a hangman’s noose. Marshall 100-watt JMP Super Bass. Cabs with four 15-inch bass drivers. Three stacks. God save us all—wait, Lemmy is God. One stack left, one center, and one right, with nameplates saying “Killer,” “No Remorse,” and “Murder One,” respectively. No additional information could make this any cooler, so I will include no further information. Man, Peavey doesn’t get enough love, despite producing gear that has been essential to bands for nearly fifty years. I was actually glad to see comments in my first list about including the Mark IV series of bass amp heads, which were absolutely classics. As soon as I thought about it, I remembered that these were everywhere in the 1980s and 1990s, and that I plugged into these heads at schools, churches, clubs, and everywhere local bands were learning their craft. This solid state bruiser was made to withstand direct missile strikes and vertical beer spills, while putting out 300 watts into 2 ohms, 225 watts into 4 ohms, and 130 watts into 8 ohms. Did it have all the clean headroom to run your Taurus bass pedals and five-string simultaneously? Nah. Did it feature a soft, glistening top end reminiscent of running direct into an API console through audiophile monitors? Hmm, nope, that doesn’t sound right either. 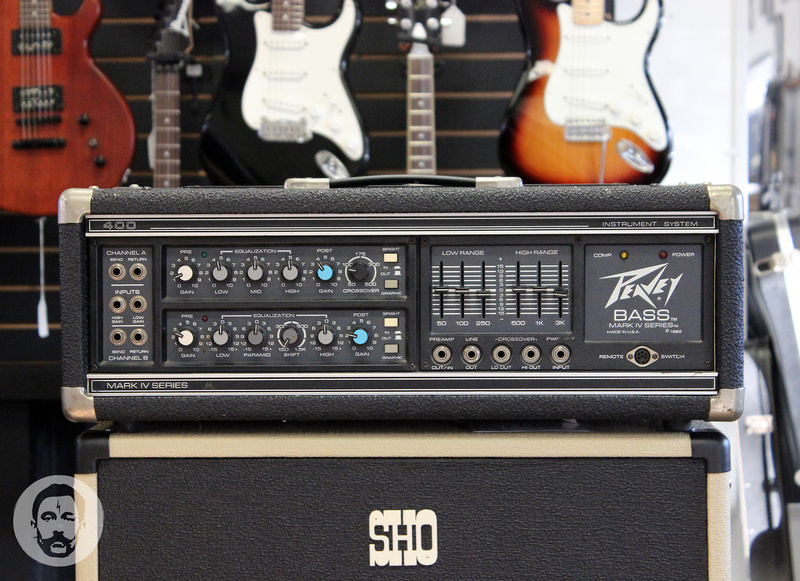 Did it pump out bass with complete reliability through Peavey’s equally robust speaker cabinets? Yup! And that’s what sustained, most likely, all of your favorite bands until they could spent their record company’s first advance on tour-grade gear. 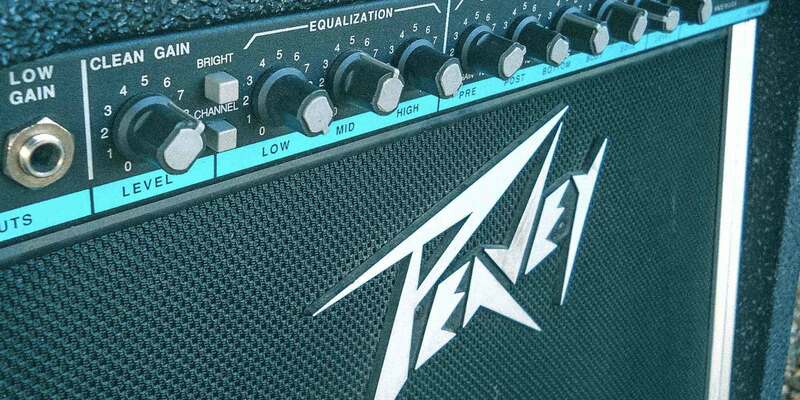 So all hail Peavey and their solid-state amps, most of which are likely still totally functional unless you actually immersed it in beer or dropped it into a volcano. Those are classics from where I’m sitting. All right, low-end gear obsessives: that’s another six classic amps. I’m sure I missed some, so let me have it in the comments section. The story of Peavey is one of humble beginnings and a well-deserved reputation for quality, value and innovation.